Texans who carry firearms have a lower murder rate than gun-free England. There are approximately a million Texans who carry firearms on a daily basis. And, based on statistics kept by the Lone Star state, those gun-toting people are safer than the British people who can’t really get a gun. 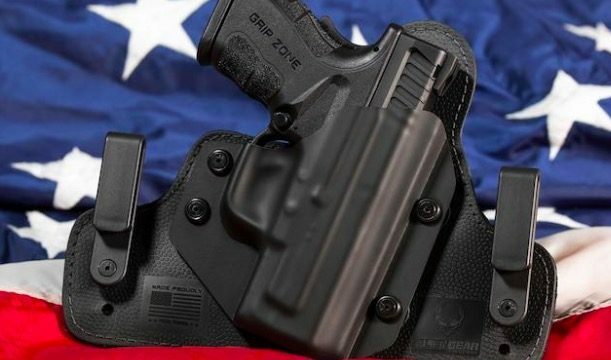 Writer Adam Peters of Western Free Press joined Mike Opelka to discuss the facts showing people who carry guns (in Texas) have a significantly lower murder rate than the rest of America. They also have a lower murder and manslaughter rate than the British. England’s 2016 murder rate is relatively low at .99 per 100,000 people. In Texas, among the gun-carrying population, just two people were convicted of murder and another two were guilty of manslaughter in 2016. Peters’ article also highlights the equalizing effect guns can have for women and the elderly when facing criminals. Listen to Opelka discuss the story with Adam Peters here.